Hello, I bought a C114k classical model a few years back and I want to know if this is a solid or laminate. I know that the model name must end with an Sw for it to be a solid top. I've also inspected the wood grain around the sound hole and found it running across the width of the board. Is this a solid wood or a laminate top guitar or a hybrid? Thanks. It looks to be a solid top,as there is no line were the two lam,s would join. SW would be solidwood guitar, which is different. On my lam,ed Indiana you can see the two glued together. Hi t.y., thanks for the reply. There are lots of contradicting specs for this guitar. In retail sites, it claims to have koa sides and backs and at the Washburn catalog it says it has ebony bridge and fingerboard. Shouldn't it be labeled as C114SWK then since it has a solid top? Or does SW mean that the guitar is all solid? Factory mistake? Well this is the thread that comes up here on search. http://forums.washburn.com/topic.asp?TOPIC_ID=17210 man if that is a lam top it sure is hard to see were it is pressed and glued together. I also stumbled on the same thread and that led me to post here. It would make much more sense to label it a C114SK otherwise it can be some kind of model inconsistency. There's no way a laminate top guitar can look like that. This is a very sweet sounding guitar and it sounds nowhere near budget classicals. I've emailed Washburn to see there take on this. Thanks for your help Tom! C114K was a laminate top guitar. If this one is solid top then the factory goofed and you got lucky. My guess is it's laminate though. You made the most important comment on this page when you say it is a SWEET sounding guitar. Tom. I've got email back from a Washburn rep. and he said that the first run of C114k could have been a solid top but doesn't have a spec sheet that says it, neither were there any variants. Simplest explanation otherwise is that the factory might have made a mistake. 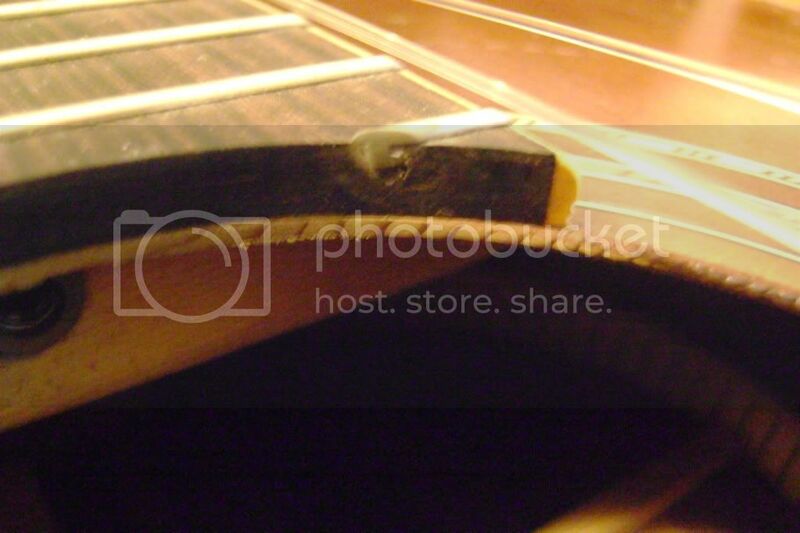 The bare wood around the sound hole isn't hiding anything. I've compared this guitar to others at guitar center and it holds well against any import. The light finish especially gives it extra warmth. This one is #22 of 150. And thanks Washburn, for your fast customer service. Kudos to you.